Florals can sometimes be a closet conundrum. Full of potential, but you’re left without a clue as to how to wear them. As a stylist, the way to handle prints is this one fact: they compliment neutrals, denim, and monochrome pairings. Do try this at home. I like the pumps with a white dress or black jeans. See how I styled this gray sweater here. Do try this at home. Actually, I’m not joking, because they’re under $40 at Target. 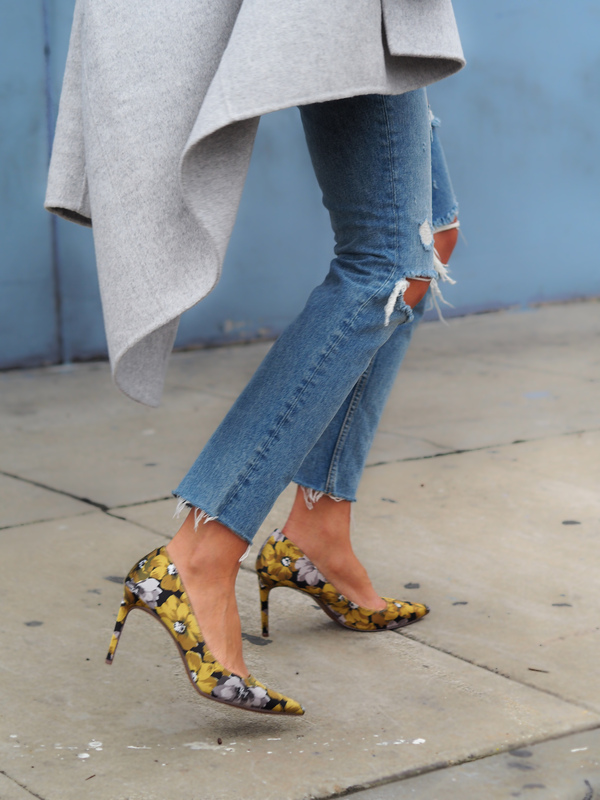 Speaking of exciting news, I’m super pumped (and nervous) to take over Who What Wear’s snapchat tomorrow, featuring how to style these floral pumps, tune in!